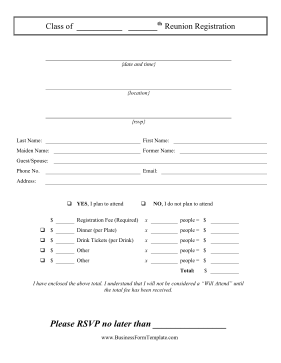 Perfect for high school or college reunions, this printable registration form plans for alumni registration, dinners, and fees. I have enclosed the above total. I understand that I will not be considered a "Will Attend" until the total fee has been received.